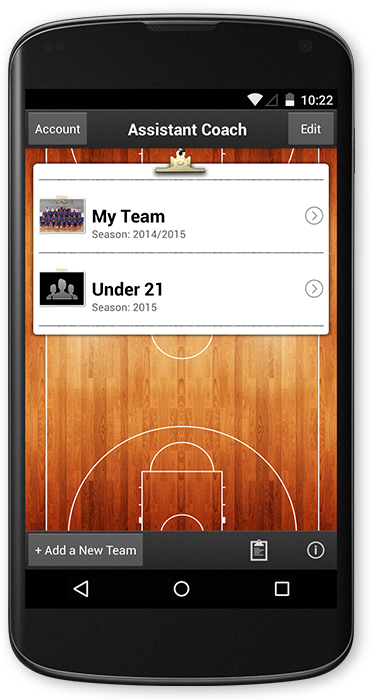 The most complete and professional iOS (iPhone, iPod touch, iPad and Apple TV) and Android (phones and tablets) app for basketball, soccer, volleyball, rugby (rugby union, rugby league and rugby sevens), handball and water polo coaches to manage teams, players, games, stats, practices, exercises and coaching staffs. Available in English, Italian, French, Spanish and German. 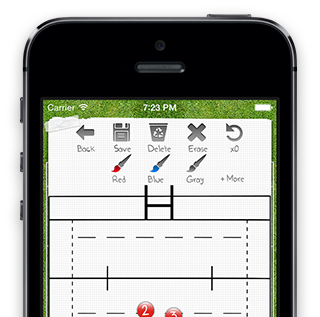 • Support for youth soccer teams (5, 6, 7, 8 and 9 players on the field), and Rugby League and Rugby Sevens teams. 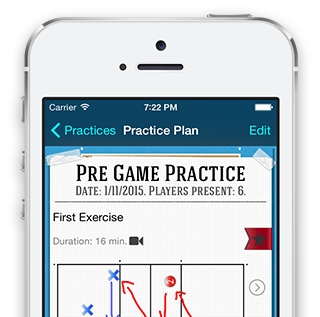 Create a new practice plan is never been easier. 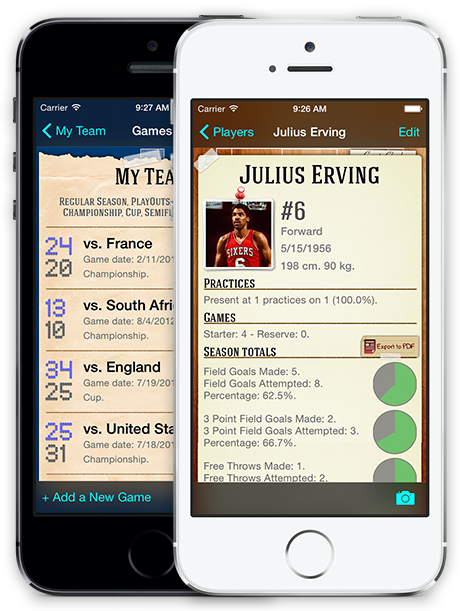 • Consult the player's presence at practices, how many time he was a starting player, and season total stats. 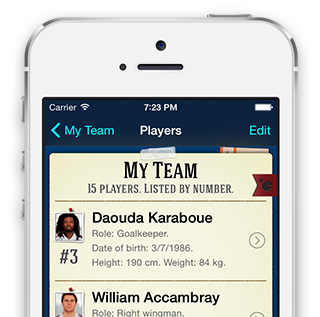 • Add the starting players. 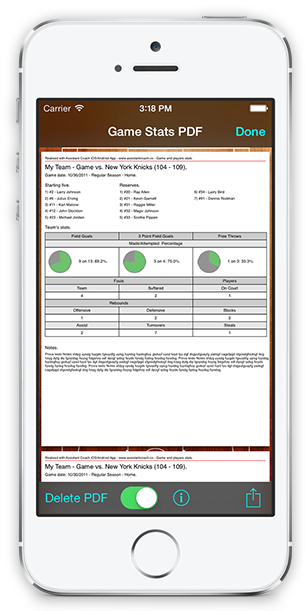 • Add your game formation, describing your module and placing your starting players on the clipboard (Assistant Coach Soccer and Assistant Coach Volleyball). 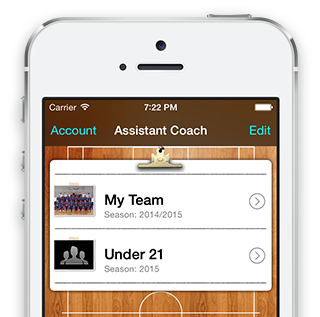 Assistant Coach is an app and a social utility that connects coaches of different sports from all over the world. 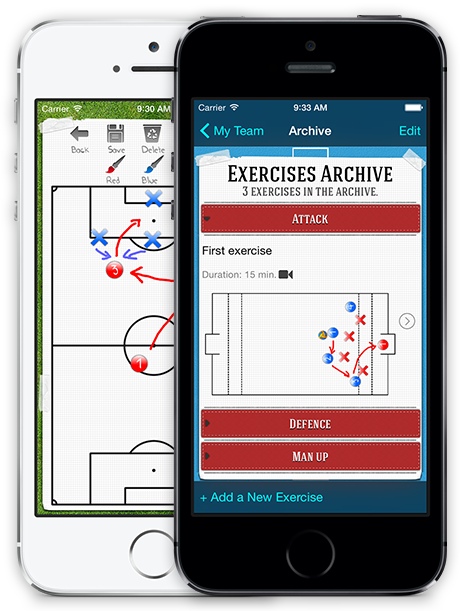 Coaches use Assistant Coach to keep up with colleagues, share an unlimited number of drills and practice plans, manage all the aspects of their teams, and learn more of the sport they love. 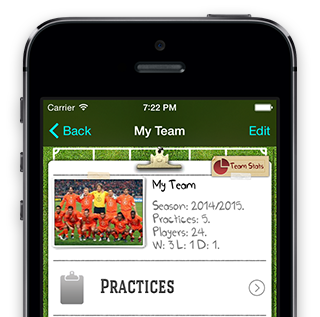 • App Backup : you can create a backup and share it on your devices using the same Assistant Coach account. Watch the video. 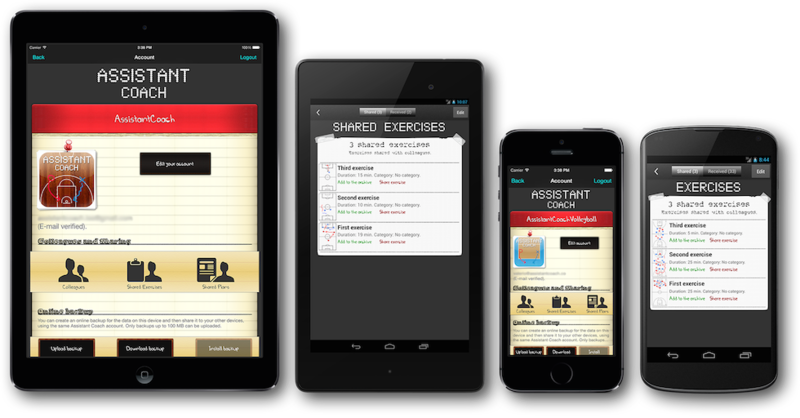 • Colleagues and Sharing : add your colleagues with a registered Assistant Coach account and share your practice exercises and practice plans with them. Watch the video. 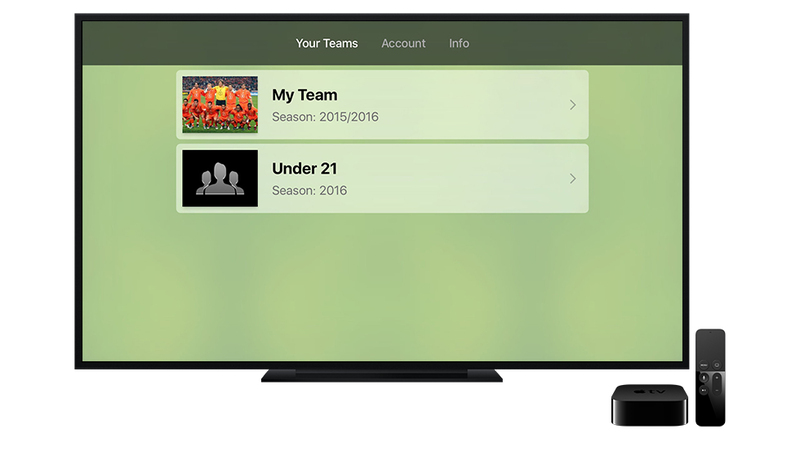 • PDF Streaming : every time you create a new PDF, the file is uploaded automatically to your account. 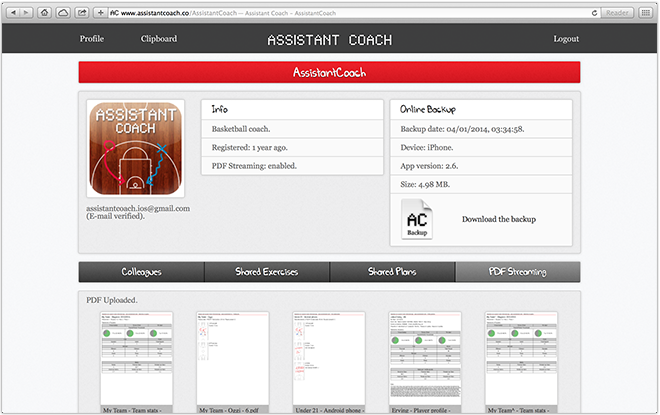 The file will appear on your profile page on the web, and you will be able to download the last 15 PDF files created. 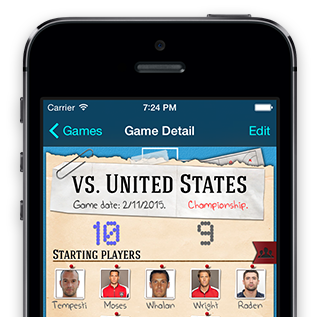 If you have any suggestions for improving the app, or any problem, or need help, please feel free to contact. iPod, iPhone, iPad and iOS are trademarks of Apple Inc. - Android and Google Play are trademarks of Google Inc.